Alvaro Residencia v Madrid, Španělsko: Zarezervujte nyní! The rooms are fully furnished with a communal kitchen, fridge and washing machine. We also provide comfortable common areas where you can access our free internet. 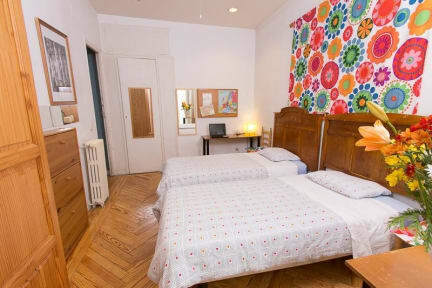 We are 2 minutes from the subway Tirso de Molina, 5 minutes from Plaza Mayor and most of the museums are nearby as are the more popular areas for going out. We would appreciate if you communicate us your arrival time. We welcome everyone; students and backpackers alike!